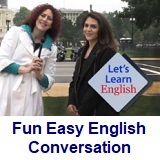 ﻿ Fun Easy English - new classroom free online classes english language lessons speaking listening writing reading february 17. 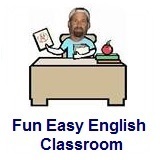 Today in the Fun Easy English classroom you are going to learn about what is least important in a relationship. Hi. In the classroom today you will think about what is least important in a relationship. Although these aspects of a relationship seem important, not all of them are important to everyone. What do you think is least important in a relationship? This is a really difficult question. There is no correct answer and pretty much depends on the personalities of each person in a relationship. Focusing on what is least important in a relationship can often lead to disagreements and can be the deciding factor on whether or not the couple stays together. Survey: What is least important in a relationship? Everyone has a different opinion about what is least important in a relationship. 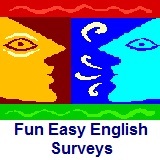 Conversation Lesson 48 - Have You Ever ...?